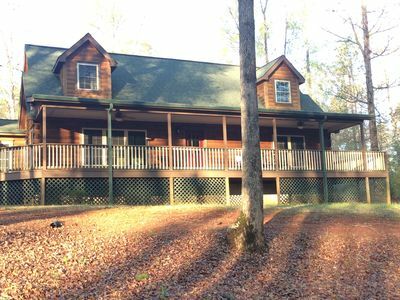 Updated Landrum Log Cabin on 10 Acres w/Mtn Views! 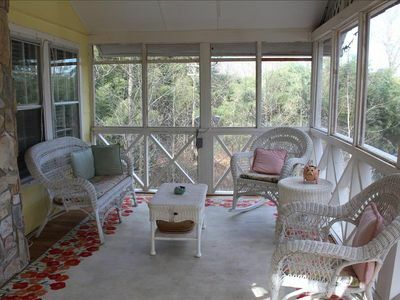 Experience easy living while staying at this 2-bedroom, 1-bath vacation rental cabin which sleeps up to 4 in Landrum. 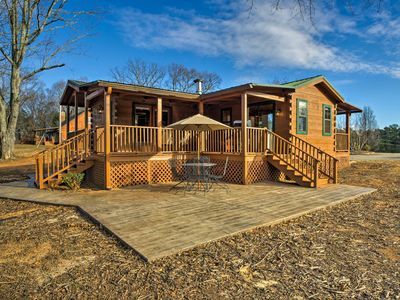 Nestled on 10 acres overlooking the Saluda Mountains, this authentic log cabin makes it easy to reconnect with nature and your loved ones. 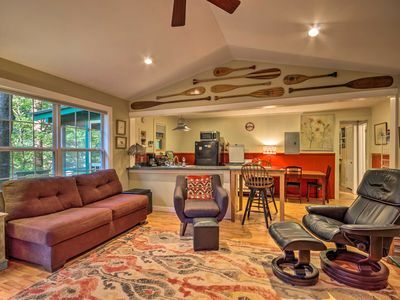 Visit nearby equestrian centers, antique shops, and wineries before relaxing on this cozy abode’s front or back covered porch. 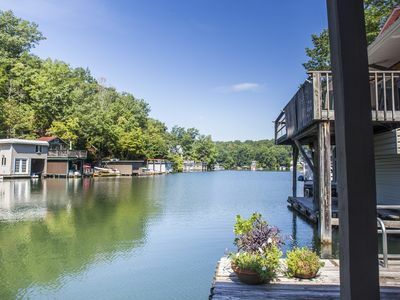 From the moment you arrive, you won’t be able to take your eyes off the views of the beautiful Saluda Mountains, which run along the borders of South and North Carolina. 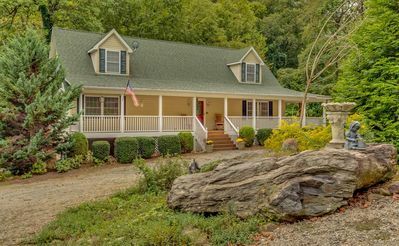 Stay outside awhile, enjoying the home’s scenic 10+ acres while wining and dining on the patio or rocking your cares away on the front and back covered porches looking out on the horse pasture and mountains. 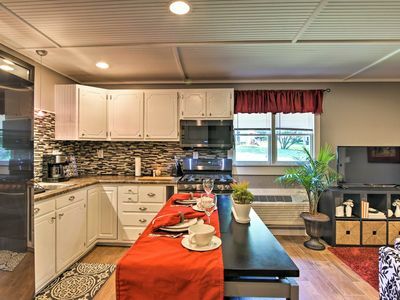 Continue to enjoy the scenery from inside the newly renovated log cabin, featuring several windows framing mountain views, along with an open floor plan that makes it easy to socialize with your travel companions. 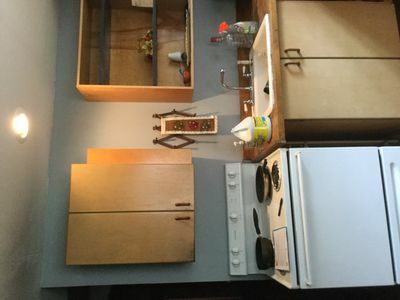 Curl up on the living room couch while chatting with the chef of the group as they prepare a hearty meal in the open fully equipped kitchen with white cabinets and all of the necessary cookware. Serve and savor meals at the charming 2-person table or bring the meal out on the patio for an al fresco dining experience. After stargazing outside, have a movie night in the living area utilizing the Smart TV with Hulu and Netflix. Once the movie is over, toss your clothes in the convenient washer and dryer in the second bedroom and rinse off in the bathroom with helpful handicap grab bars in the bathtub. Sleep is sure to come easy in the second bedroom’s twin beds or the master bedroom’s queen bed, perched in front of a gas stove to keep you warm during those chilly winter nights. 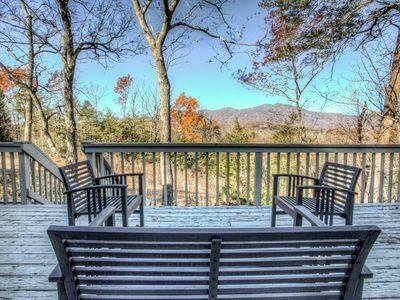 Better yet, the master bedroom also features access to the porch, so you can wake up to mountain views every day! 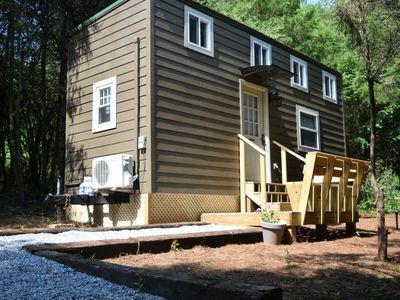 Whenever you’re able to pull yourself away from the tranquility of the cozy cabin, you’ll find that this home also offers a prime location with easy access off of I-26, providing easy access to every area attraction! 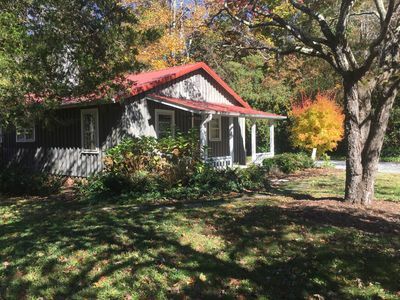 From the cabin, you’re just a couple minutes drive from historic downtown Landrum, where you can browse for souvenirs at local antique shops and dine at one of the delicious local eateries. 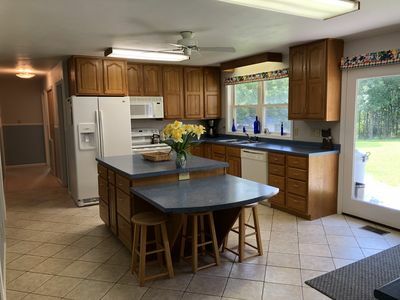 If you’re in town for a big equestrian event, this cabin makes it easy to reach the show, as it’s under 25 minutes from the world-famous Tryon International Equestrian Center, as well as just 10 minutes from the Foothills Equestrian Nature Center (F.E.N.C.E.)! Wine lovers rejoice! 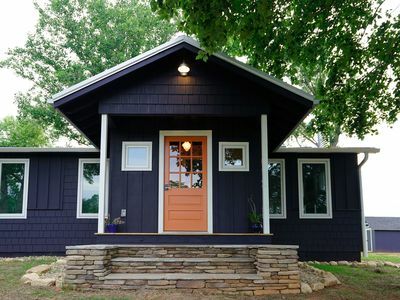 This cabin places you minutes from several wineries, like Green Creek Winery, Russian Chapel Hills Winery, Mountain Brook Vineyards and Overmountain Vineyards. When adventure calls, pull on your hiking boots and head to one of numerous nearby scenic trails that abound throughout the mountains, including the Palmetto Trail, Big Bradley Falls, and Chestnut Ridge Heritage Preserve! 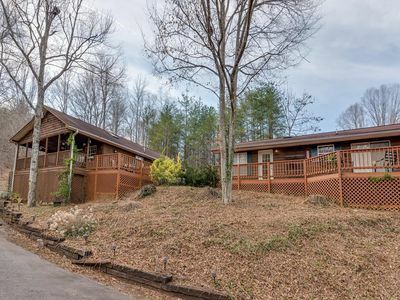 To seal the deal of this property’s prime location, the cabin is just 30 minutes from the Asheville airport and GSP airport, allowing for easy arrival and departure! 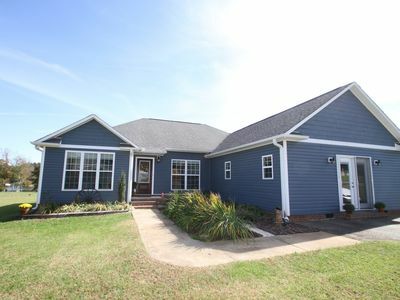 - Great Landrum location - Easy access to equestrian centers, wineries, hiking trails, downtown Landrum, and the airport! Woodcreek Cabin 10 Minutes to TIEC! 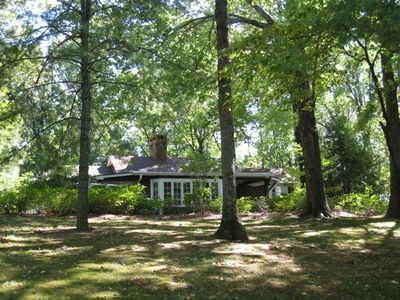 35 private wooded acres. Ten minutes from TIEC. A quiet and cozy place to enjoy the Foothills! 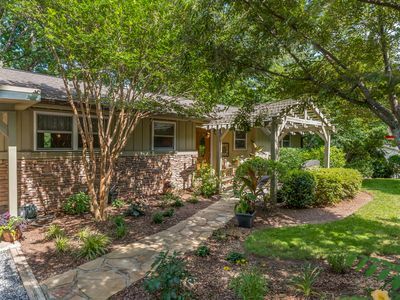 Families love this quiet setting with loads of shade trees and a charming patio. NEW! 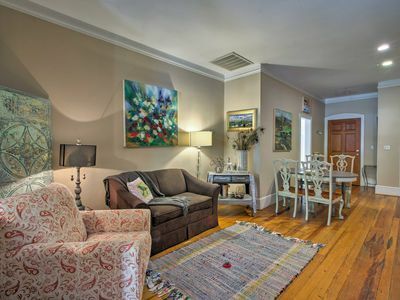 Chic Apartment in Historic Downtown Tyron! NEW! 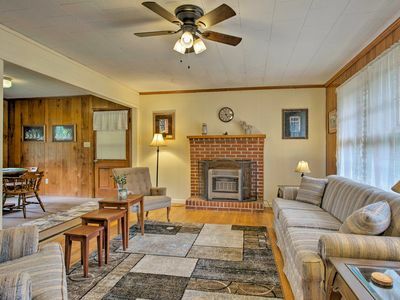 2-Acre Columbus Getaway - 7 Miles to TIEC! 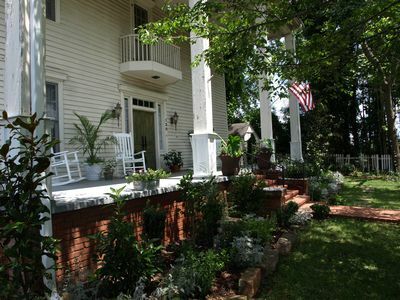 4.4 mi from Tryon International Equestrian 4 BR, 2 BA sleeps 10. Pet friendly. 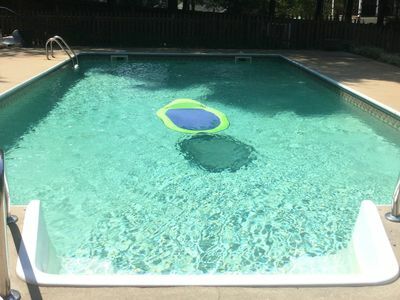 Perfect cottage near the Equestrian Centeri at a fabulous price!! NEW! Updated Tryon Cabin on Pacolet River w/Grill!